Ask Gerbe, now in his second season with the Buffalo Sabres, if he can still recall his first NHL shift and he fires back with a quick response. When Gerbe settled into the circle, he looked across and found himself looking at one of his idols, Martin St. Louis, one of the game's most gifted offensive stars. After dividing his time between Buffalo and their former American Hockey League affiliate in Portland (Maine) in 2008-09 and 2009-10, Gerbe was given the opportunity to earn a full-time roster spot with the Sabres last season. It didn't exactly start out the way Gerbe had planned. Gerbe, the man who scored five goals in the final two games of the NCAA 2008 Frozen Four tournament with Boston College, helping lead his team to the championship and most outstanding player honours, went goalless in his first 20 games. He wasn't the only one struggling. The Sabres gave up a lot of early ground in the standings before they managed to turn things around in the second half of the 82-game schedule. Gerbe, who was a finalist for the Hobey Baker Award as U.S. college hockey's most valuable player in 2007–08, responded, too. At season's end, he had 16 goals and 31 points from 64 games. 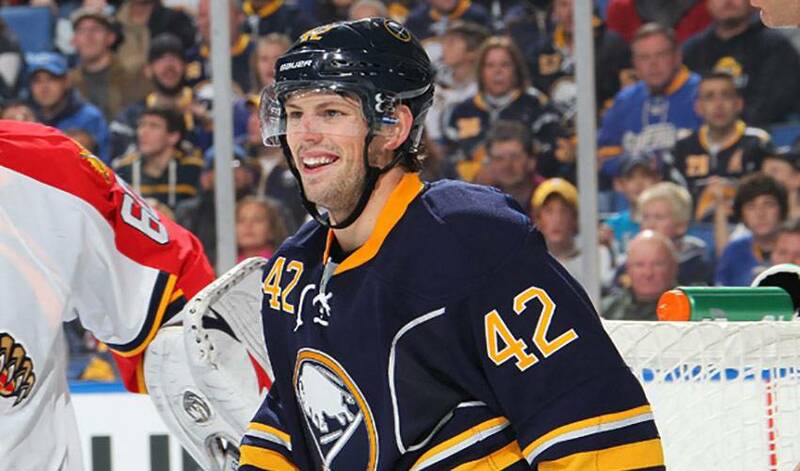 It's obviously worked wonders for Gerbe, who has played well in his sophomore campaign. As for what would constitute a good game for himself, the 24-year-old native of Oxford, Michigan, is happy to leave those assessments to others. He also focuses on team goals. Gerbe is eager to play his part. “I came into this season feeling really strong and confident,” he said. “You can always learn something and be better at what you do.